Two of the most highly regarded international university ranking exercises have just published their latest findings. As in previous years, LMU comes out very well in both surveys. The Nature Index 2018 is based on the contributions of authors affiliated with academic institutions to research reports published in the world’s leading journals for natural sciences. In this assessment LMU is ranked 47th and is the only German university to break into the Top 50. The first three places in the index are filled by American contenders – Harvard, Stanford and Massachusetts Institute of Technology (MIT). LMU takes a respectable 7th place in the European list, which is headed by the universities of Cambridge and Oxford and the ETH in Zürich. In the QS World University Ranking 2019, LMU improves its position on the ladder relative to last year’s performance, rising four rungs to take 62nd place. On this list the top three are once again MIT, Stanford and Harvard – in that order. 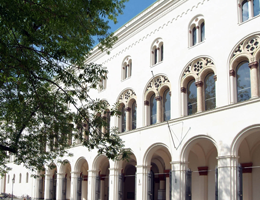 Apart from LMU, only two other universities in Germany are to be found in the Top 100. Indeed, the trio forms a tight cluster, with the Technical University of Munich (TUM) taking the 61st spot, while Heidelberg University is ranked 64th. Last week saw the release of the Times Higher Education (THE) World Reputation Ranking 2018, in which LMU retained its leading position among German universities. The Nature Index is based on an assessment of the contributions of research institutions and universities to research articles published in 82 scientific journals. Note: A change in the methodology has taken place. Further details can be found in the news blog on natureindex.com. The QS World University Ranking evaluates more than 1000 universities worldwide on the basis of an array of criteria. These include the institution’s academic reputation, the impact of its research publications, and its ratio of students to teaching staff.